Happy Sunday everyone... 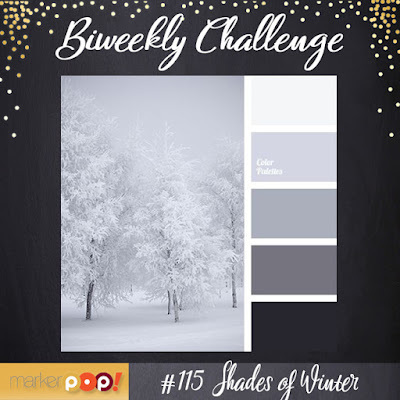 It's time for a new challenge at MarkerPop and this week it's all about Color. 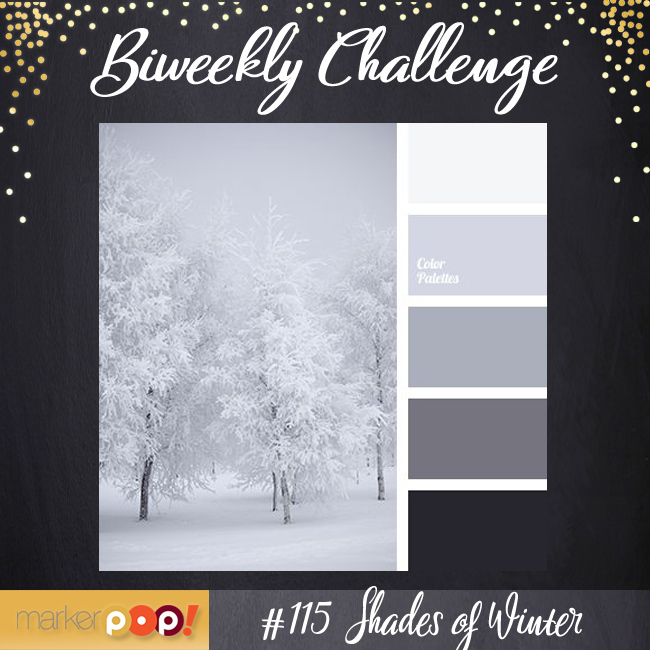 We're feeling a little Grey this week with a Gorgeous Winter Color Palette. 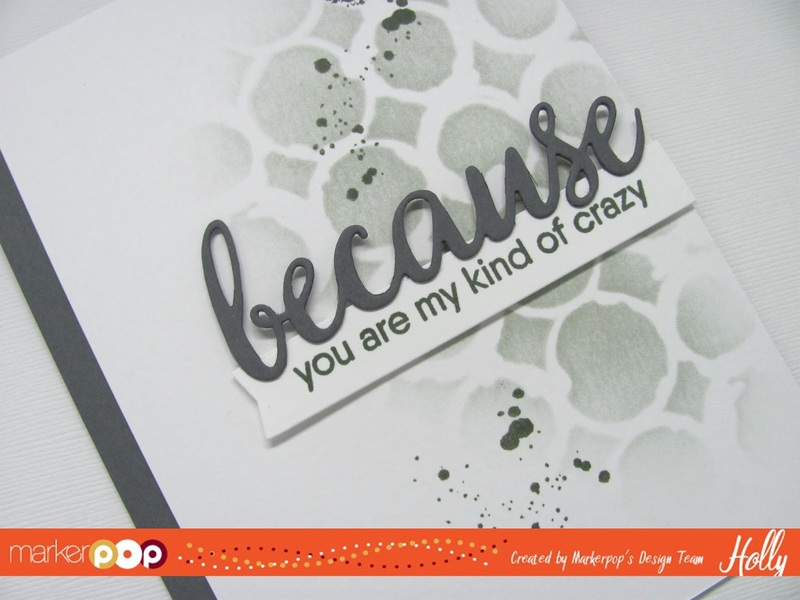 I used the Ringer Stencil from Time Holtz and some Hippo ink from Lawn Fawn on a piece of Distress Watercolor card stock to create a background pattern. I stamped some of the splatter images from the MFT Distressed Patterns stamp set using Soot ink from Lawn Fawn. Then I die cut the Because from the MFT Because of You stamp & die set from some Grey card stock. Then I stamped the sentiment from the same set onto a piece of White card stock and trimmed it into a banner. I adhered the banner and the Because with some foam tape and added it to the edge of the panel. I trimmed the one side off and then adhered the panel to a Grey card base. I was tempted to add some sequins but I wanted this to be gender neutral and I really like the clean look without them. Head over to the MarkerPop Blog for more details on how to enter the challenge and inspiration from the Design Team.